There are 20 different species of mole. The displaced soil is pushed to the surface - a 'molehill'. Creates an underground larder in which to store food. Are active both day and night. Live in deciduous woodland, grassland and farmland. Eats earthworms, insects, centipedes, mice, shrews, slugs, lizards and snakes. Have tiny eyes and ears, and huge paws. Live for about 6-7 years. Predators are mammals, birds, reptiles and man. 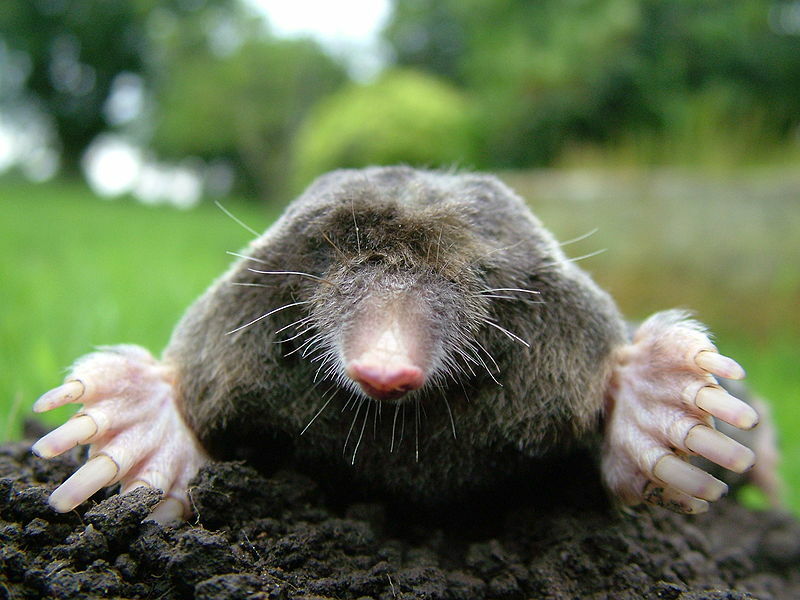 The Star-Nosed Mole is an accomplished swimmer and diver, as well as a digger. The Star-Nosed Mole uses its fleshy nose for hunting.